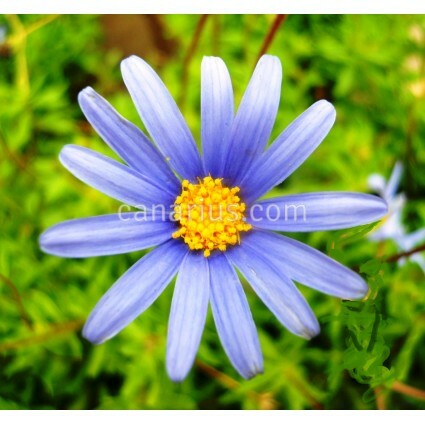 Felicia amelloides is an attractive blue daisy, native to South Africa, from sandy coastal areas with rain all year round. It is easy in cultivation, in pots or as a mixed-border plant. It endures a wide range of temperatures, including some light frost. It is an evergreen shrublet usually 30–60 cm talll, with densely branched and frequently dark red stems, and rough, hairy, ovate green leaves. 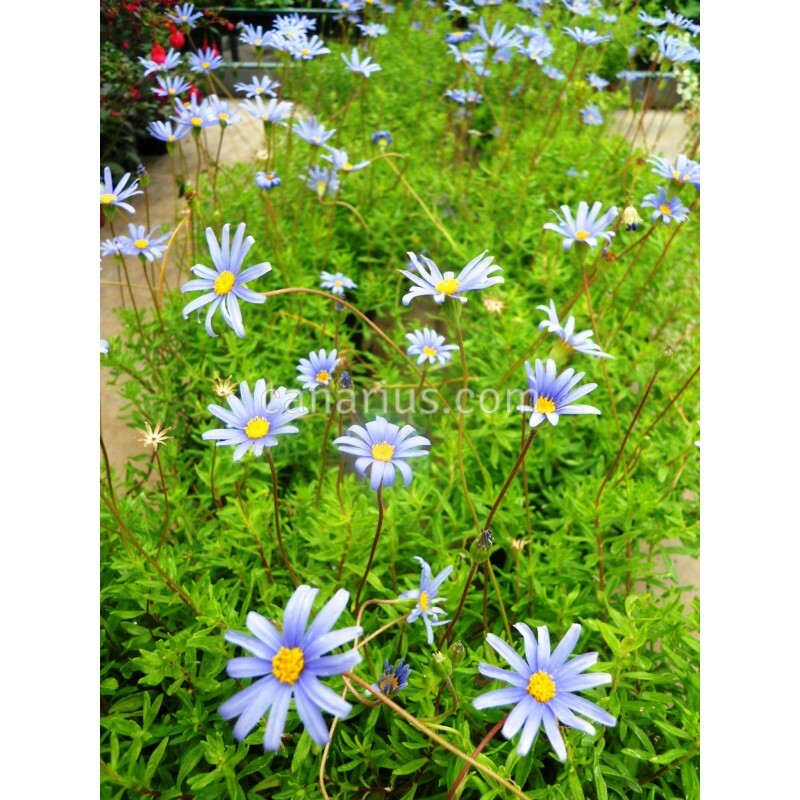 Striking blue daisy flowers with bright yellow centres, about 3 cm in diameter. This species can also be grown in colder climates as a half-hardy annual in pots, window-boxes, hanging baskets, and other summer bedding schemes for parks and gardens. Drought- and wind-resistant, it requires a sheltered aspect in full sun, and does not like frost. We ship a robust, sun-grown plant, cultivated in a 12-16 cm pot, of variable height of 20-35 cm. This is a fast growing species and it is produced once or twice a year so the specimens can vary in size. We will always try to select a compact robust plant for you. We ship worldwide.